A satisfying one dish meal for 4 person, a nice glass of Chardonnay to complete the meal would be nice! In a large pot, season water with a lot of salt and olive oil. 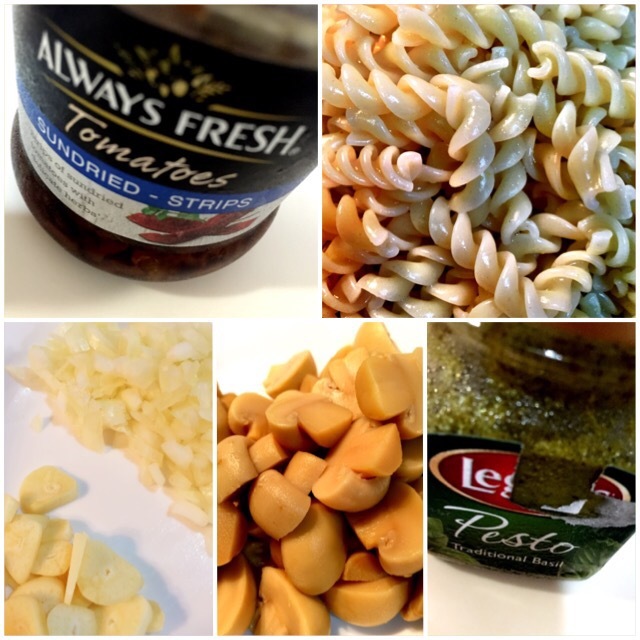 Cook pasta based on the package instruction. Mine was 5 – 7min, but I stopped at 6 as like my pasta al dente. Strain the pasta and dry the pot. In the same pot, sautéed the onions in olive oil. When they soften, add the garlic. When the garlicky aroma is released, add mushrooms. 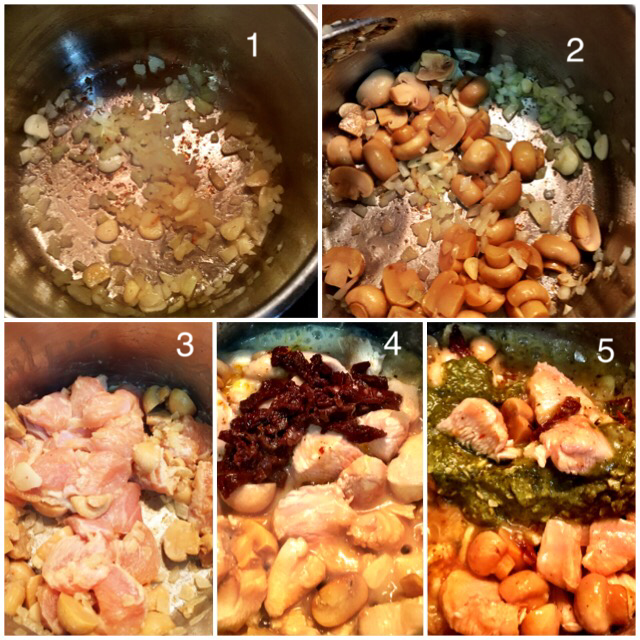 Stir for a few minutes then add chicken. 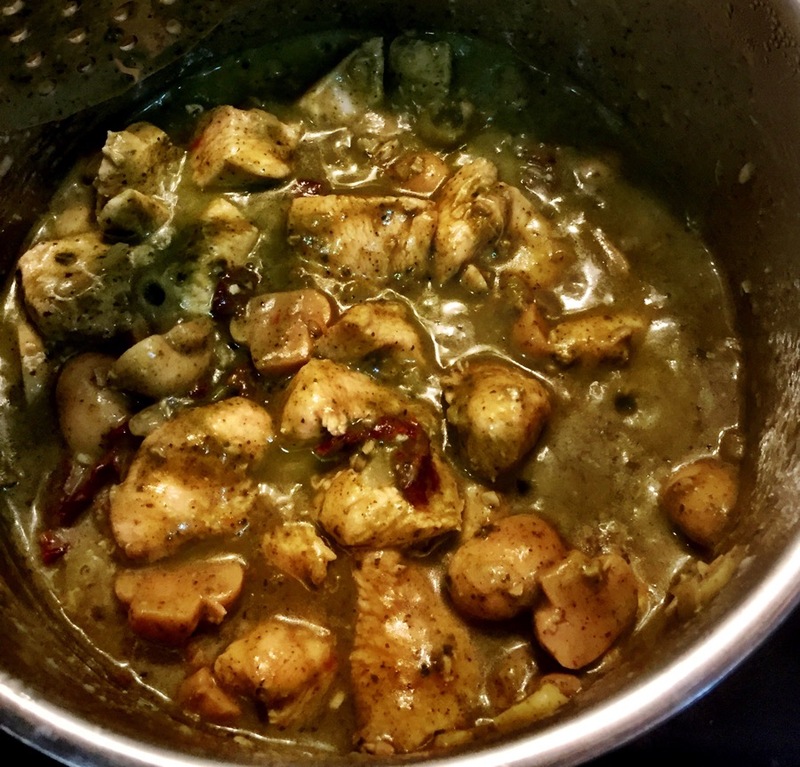 Let the chicken chunks cook till they turn white, add the wine to deglaze the base of the pot. Let the ingredients simmer for a few minutes, add the sundried tomato strips and the pesto and mix well. Let everything simmer for about 5min and we are done! 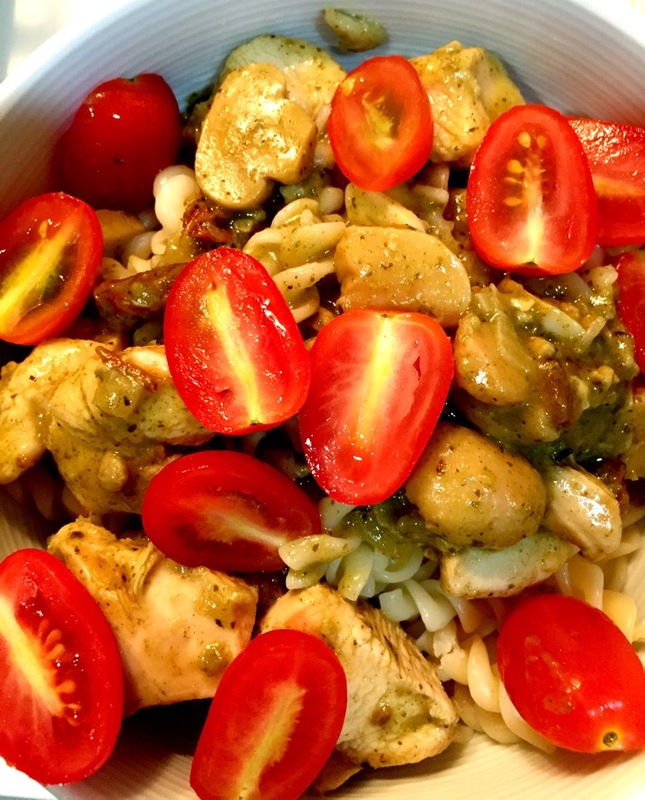 Serve the chicken mushroom pesto sauce on top of a bowl of fusilli, top with the halved tomatoes.